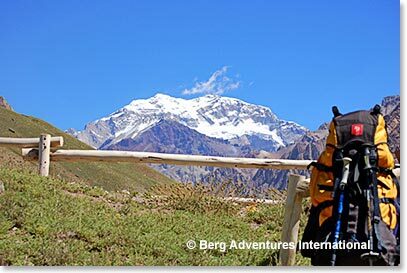 Aconcagua Dispatch: January 5, 2017 – The Team is on the Mountain and on their Way! January 5, 2017 – The Team is on the Mountain and on their Way! 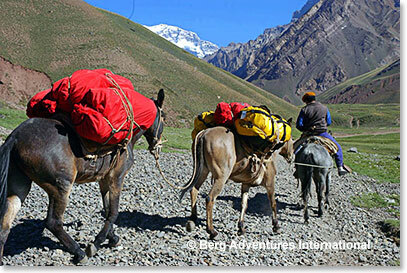 Osvaldo called into the Berg Adventures camp via satellite phone today with great news about the team. 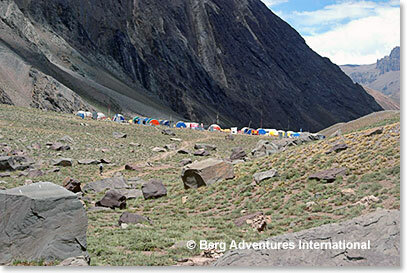 They arrived together at the first camp on the mountain, Confluencia, at 2:30 this afternoon. Osvi said that the weather is excellent; he also told us that this is a really strong team and that they are having a great time together. As he spoke to us they were all enjoying tea and snacks, prepared by Maria, in our dining tent. No more hotels for a while! Confluencia will be home for the next two nights. This is important for acclimatization. 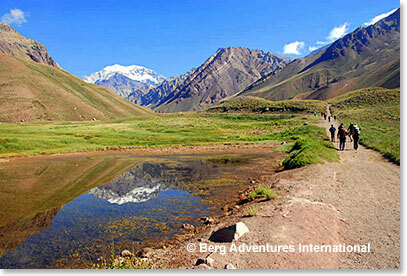 These photos capture some of the feel for the beginning of the long trail, beautiful trail to high altitude on Aconcagua. We wish the climbers a good first night on the mountain. Perfect weather today as the team began hiking. Our first mules left for Plaza de Mulas yesterday, the mules carrying our loads for Confluencia left today. 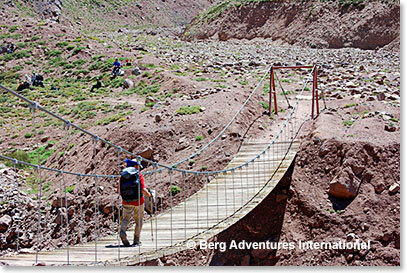 One of the first landmarks is the suspension bridge across the Horcones River. 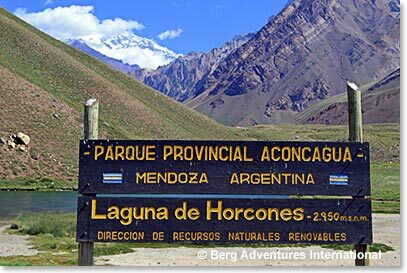 Our home for the next two nights, Confluencia Camp, altitude 11, 300 ft/3,400m above sea level.